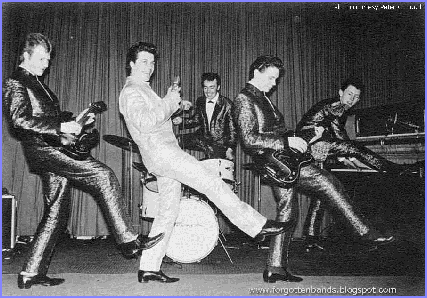 I have no photos or details of the early days, as they all got destroyed a long time ago, including my band suits. About the group The Hi-Fi’s I can’t really remember much, I have trouble remembering 2 years ago, never mind going back 50 years. Born 11th April 1940 in Sunderland, for some reason the family moved to South East London. I went to Sydenham Junior School and later on I attended Tavistock High School in West Croydon. I’m from a family of five. Mum and dad came from Up’t North and I have a daughter Yvonne Sheila Jackson, who lives in Germany. 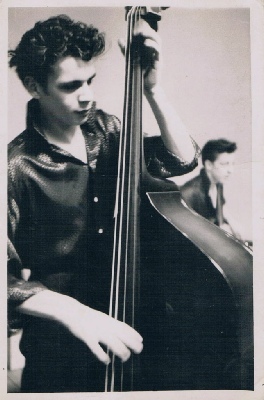 I first started to play the double bass aged 14/15 and joined my first group Rod Lyward &The Hot Rods around 1956, because Rod got in touch asking me to join them, I took over on the tea chest bass. 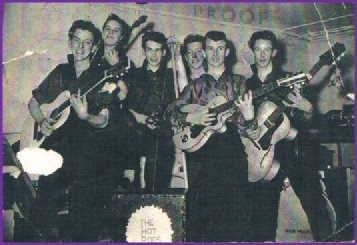 The names I can remember in the group then, was Billy Wells (guitar), later on Dave Steel (banjo tuned as a guitar), Alan McIvor (guitar), Dave Bridges ( guitar), Bob Marsh (drums), and a little later on Les Smith (piano). When Les left he then joined Sony Stewart . 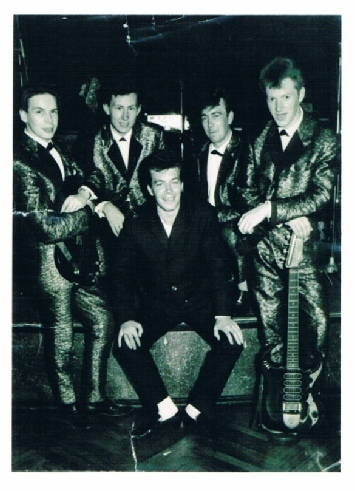 When I left the Hot Rods, can’t remember why, I joined The Hi-Fi’s for a short while, taking over after Allan Stainer, when he left 1960. I think it was Brian Bennett/ Malcolm Wright/ Len Ford who came into the shop where I worked, (Radio Component Specialists) and asked if I would join them and I said yes. I also remember rehearsing at Malcolm Wright’s home. 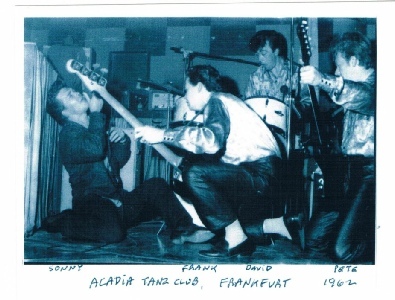 I only remember a few things from then, playing mostly at the Park Lane Ballroom in Croydon. The owner Ed Waller played the piano pretty good and looked a bit like Arthur Askey. 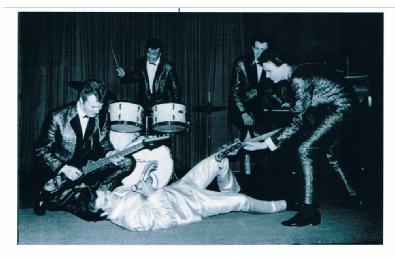 Also the Ebbisham Hall in Epsom and Playing The Market Hall in Romford with Neil Christian and The Crusaders on the same bill and Len Ford talking a lot with Jimmy Page, who he was a friend of. 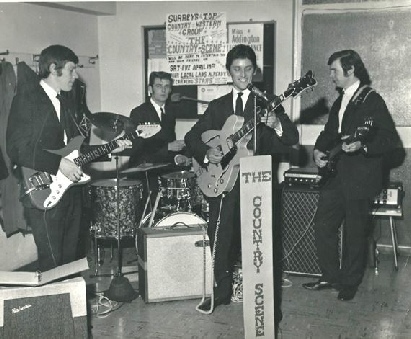 The Co-operative Ballroom, Peckham was also memorable as we were on the same bill as Chris Farlowe & The Thunderbirds. This group then had the now legendary Albert Lee as lead guitarist. Maybe some other dates will come back to me in time, but don’t hold your breath. 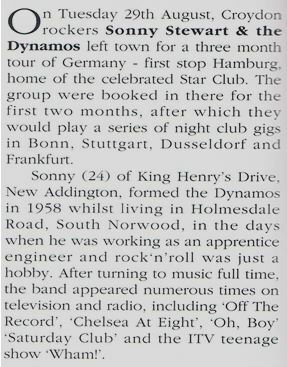 After the Hi-fi’s short stint I was asked, along with Ian Duncombe to join Sonny Stewart & The Dynamos. His previous group members had left him due to money problems and his guitarist Pat O’Grady couldn’t keep up the gig schedule with his day job/marriage and had to leave. 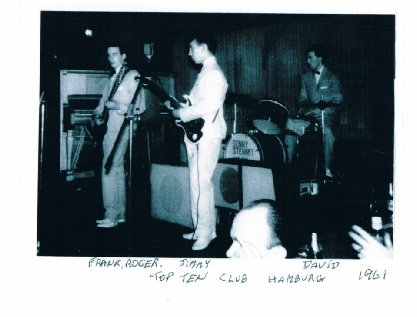 Ian, me and Sonny recruited Dave Dale (aka Constable) on drums and Roger King piano, both were very good players. The press piece below was probably the Croydon Advertiser which details the group leaving for Germany in August 1961. It was his previous group that had been with him on the TV shows, and sadly we never did any of them. 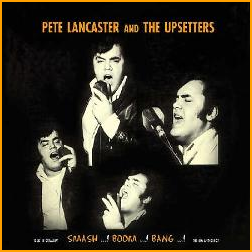 The full line up was; Dave Dale(aka Constable), drums, Frank Jackson, Fender bass, Roger King (piano),Ian Duncombe(lead guitar) Sonny Stewart vocals(aka Arthur Champerlain). He was a great showman and singer. 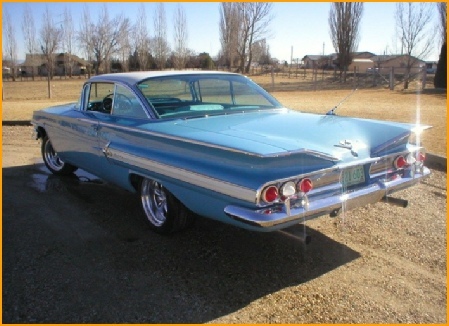 Sometimes he drove a 1960 Chevrolet “Impala” We played the US bases Chicksands, Brize Norton, Laken Heath etc and always went down great. Germany was a great time for me but sadly it all came to an end. I moved back to the UK and got my old job back at Radio Component Specialists, on Whitehorse Bridge, Whitehorse road, Thornton Heath, Croydon. My old boss John Ladd took me back and when he retired I purchased and took over the business. I joined up with Len Ford and Malcolm Wright as The Chess Set and for 2 or 3 years, played local gigs and a residency at The White Swan in Crystal Palace. I had to give this up when my boss John Ladd retired, due to my excessive workload. Remembered quite a lot really didn’t I, thanks to some help from Len Ford. Billy Wells. David Steel. Frank Jackson. Bob Marsh. Rod Lyward. Dave Bridges. Frank Jackson. Geoff Pulham. Sonny Stewart. Sonny Stewart. Frank Jackson. Dave Dale. Pete Budd. Pete Budd. Sonny Stewart. Dave Dale. Geoff Pulham. Frank Jackson. Colin Fuller. Johnny Eastern. John Smith. Frank Jackson. 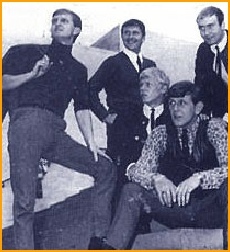 Late 60’s Frank was a member of; Country Scene, and evolved into Root 5,and shortly after became Pony Express, with personnel changes along the way .The final line-up being; John Smith (vocals/guitar), Brian Shields (lead guitar/vocals), Dave Benyon (drums),Robin Perry (bass) when Frank left , he joined The Chess Set with Len Ford and Malcolm Wright. Picture and details courtesy of John Smith.